Among the best sources of health information is someone you can meet face-to-face. Talk about all of your health-related decisions with your doctors and other trusted healthcare providers. Below you will find information on common health-related fraud. Another important tip: the government will not call to sell your health insurance. And no one from the government will ask you to verify your Social Security number or bank information over the phone. Looking for health insurance? Make sure that's what you're buying, or you could find yourself on the hook for big medical bills with no way to pay them. That's because what sounds like affordable health insurance may be a medical discount plan instead. Medical Discount Plans are a way for some to save money but it is NOT insurance. The plans generally consist of, but are not limited to, programs offering discounts on physician, prescription drugs, vision, dental, chiropractic, or massage therapy services. If you are offered a discount on your health care expenses by a company, you should make sure that the company has Nebraska medical providers in your area who are willing to honor those discounts. You could give be giving up your current health coverage, mistakenly by believing you found a better insurance deal. Some plans offer discounts of up to 70% - but how often will you save that much? Savings with discount plans typically are a lot less. When you consider a discount plan's monthly premiums and enrollment fees, there may be no "discount" at all. What's more, if you have major health problems or an emergency, you will have to cover most, or all, of the bills if you don't have health insurance. You'll have to pay medical bills yourself if you're scammed into believing you have real insurance. Identity thieves also use pitches for medical discount plans and insurance to get your personal information. Don't give out your financial information to someone who calls you out of the blue, or whose reputation you haven't checked out. As you select your health insurance plan, watch out for scams. Whether you are on Medicare, selecting a plan through the Affordable Care Act (ACA), or have private insurance, here are tips to help you more safely navigate the open enrollment season. If you’re looking for health insurance, make sure that’s what you’re buying. Be on the lookout for medical discount plans. They’re not the same as health insurance, even though they sometimes pretend to be. Many of these plans are scams that don’t deliver on the services promised. Others are just a way for identity thieves to get your personal information. The Nebraska Department of Insurance can tell you whether a plan is actually an insurance product. You may contact them by visiting them online at www.doi.nebraska.gov or calling 402-471-2201. Someone calls and says you must join the prescription plan or else you’ll lose your Medicare coverage. Don’t believe it. The Medicare prescription drug plan (also known as Part D) is voluntary. Someone calls claiming that you need to give your Medicare number in order for you to keep your Medicare coverage under the ACA. It’s a scam. Don’t give your personal information over the phone. If you need help with Medicare, call: 1-800-MEDICARE or go to: www.medicare.gov. Medical identity theft happens when someone steals your personal information and uses it to commit health care fraud. Medical ID thieves may use your identity to get treatment or even surgery by making fake claims. A medical bill arrives for medical services you didn’t receive. A call from a debt collector about a medical debt you don’t know about or that you do not have. Medical collection notices on your credit report that you don’t recognize. A notice from your health plan saying you reached your benefit limit. You can catch medical identity theft early on. First, read every “Explanation of Benefits” statement you get from your health insurer. Follow up on any item you don’t recognize. At least once a year, ask the health insurers you’ve been involved with for a list of the benefits they paid in your name. Finally, make it a regular practice to check your credit reports. You’re entitled to a free credit report from each of the three nationwide companies every 12 months. You can order your free credit report at AnnualCreditReport.com. If you know a thief used your medical information, get copies of your records. Federal law gives you the right to know what’s in your medical files. Check them for errors. Contact each doctor, clinic, hospital, pharmacy, laboratory, health plan, and location where a thief may have used your information. A provider might refuse to give you copies of your medical or billing records because it thinks that would violate the identity thief’s privacy rights. The fact is, you have the right to know what’s in your file. If a provider denies your request for your records, you have a right to appeal. Ask each of your health plans and medical providers for a copy of the "accounting of disclosures" for your medical records. The accounting is a record of who got copies of your records from the provider. The law allows you to order one free copy of the accounting from each of your medical providers every 12 months. Write to your health plan and medical providers and explain which information is not accurate. Send copies of the documents that support your position. Send your letter by certified mail, and ask for a "return receipt," so you have a record of what the plan or provider received. Keep copies of the letters and documents you send. 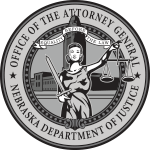 The Nebraska Medicaid Fraud and Patient Abuse Unit (MFPAU) investigates and prosecutes Medicaid provider fraud and patient abuse and neglect. Medicaid is a program which provides health insurance for people who are unable to pay for such care, including disabled, elderly, and low-income patients. Medicaid is funded through both federal and State of Nebraska funds. Medicaid providers are those doctors, dentists, hospitals, nursing homes, pharmacies, chiropractors, home health workers, medical equipment providers, and other persons and entities who are paid by the Medicaid program for the services they provide. Provider fraud occurs when a person or entity who is providing services to a Medicaid recipient misrepresents the services rendered to the State. The federal government requires that the State of Nebraska have a Medicaid Fraud and Patient Abuse Unit to recover money lost to fraud. The MFPAU, as part of the Attorney General’s Office, is responsible for investigating and prosecuting Medicaid fraud and violations of all applicable state laws relating to the provision of Medicaid services and the activities of providers. The MFPAU has state-wide criminal jurisdiction over Medicaid provider fraud investigations and prosecutions. Additionally, the MFPAU has the authority to file civil actions under the False Medicaid Claims Act, Neb. Rev. Stat. § 68-934 et seq. The MFPAU also reviews and can act on complaints of abuse and neglect of patients at health care facilities that receive Medicaid payments. This includes both physical abuse or neglect and financial exploitation of a patient. Physical abuse includes anything from excessive force in the course of a prescribed treatment, to striking or even sexually assaulting a resident. Neglect can include withholding necessary and adequate food, physical care or medical attention, such as turning a patient who cannot move themselves. Financial abuse includes misuse or unauthorized use of a person’s trust funds, bank accounts, cash, or credit accounts. If you suspect that someone is being abused, neglected, or exploited, please report it immediately to your local law enforcement or the Adult Protective Services 24 hour hotline. To file a Medicaid fraud or patient abuse complaint: click here.